Kamea has teamed up with BLVD to write about important issues and inspiring stories surrounding veterans. These are stories worth telling and from a perspective that is so refreshing from such a young age. We can’t wait to see what she does next. Have you ever wondered what the difference is between a therapy dog and a service dog? 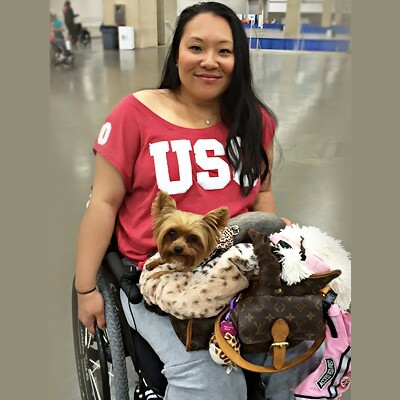 While at the 35th National Veterans Wheelchair Games in Dallas, Texas this past June, I was curious to learn more about the two types of canines and how they assist their owner. 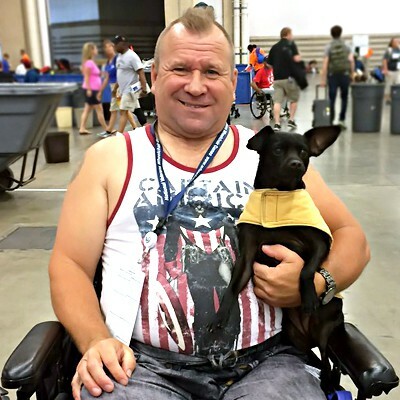 During the week long Games, I met six disabled veterans and their canine companions. Each story was unique just as was the purpose of the dog for their owner. Two of the six veterans had smaller dogs that were just for company, three vets had dogs to assist with medical purposes, and one vet’s dog was strictly for service. I also was able to talk to an incredible organization called Canine Companions for Independence. They were able to shed some light on the different jobs and training techniques required for each type of dog. The representatives from Canine Companions were very helpful in explaining what makes a therapy dog different than a service dog. Service dogs are trained specifically to assist with physical tasks such as pulling their owner in their manual wheelchair, turning on lights, opening doors, and transferring items. There is no doubt that these dogs provide social support to their owner and family however their main goal is to make life easier and doing everyday things for the person with the medical need. Service dogs are not considered pets explaining the reason why they can go into public places, such as restaurants and grocery stores, legally. If a service dog is violent or harmful, the law does not apply to them. Service dogs are traditionally larger breeds like German Shepherds, Labradors, and Golden Retrievers. As the years go on, service dogs are getting smaller and smaller. Pink, Jill's service dog, is a very small dog but helps her with things like making beds, turning on lights with a string, and opening cabinets. Therapy dogs are traditionally trained to provide affection. They are considered "stress relievers". Today, therapy dogs are less common than service dogs but still extremely important. They can lower blood pressure, reduce anxiety, and can lesson chances of depression. Therapy dogs also help with physical therapy by increasing joint movement and lowering the amount of time a patient is in physical therapy. In several cases for veterans, we learned that these dogs assist with those who suffer from Post-Traumatic Stress Disorder. When a nightmare or other episode occurs, these dogs are trained to lay on or next to their owner to provide comfort and regulate breathing. Therapy dogs can come in all sizes and breeds unlike service dogs which are usually larger. The most important characteristic for therapy dogs is their temperament which needs to be kind, patient, friendly, and gentle. Although all the veterans had amazing stories with their dogs, one seemed extraordinary. “Lady” is a black Chihuahua and has been Rene's companion and at-home-doctor for about five years. Lady also helps Rene take care of his mother who has sleep apnea. Lady can detect when she stops breathing for a certain amount of time and can awaken her by jumping, pouncing, and barking. After I got to know the three of them I could tell that they were attached at the hip. Lady helps Rene ease his sores by laying on them and transferring body heat. Lady is always checking over Rene's shoulder and comforting him when Rene deals with his PTSD which he started suffering from after being robbed twice. Other dogs can be medical alert dogs, like veterans Ralph and Kerry’s dogs, Cody and Buster. These dogs can detect when a seizure is going to happen. 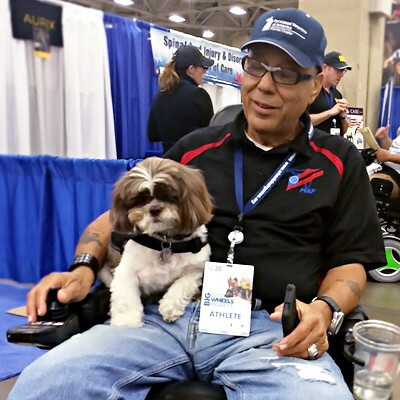 If the dog is larger, like Buster, then they can pull something out of the way that could harm the veteran, whether it is something on their wheelchair or if the veteran falls out of their chair. If the dog is smaller, like Cody, then they will lie on the veteran’s chest and shorten the length of the seizure. Additionally, both dogs are trained to dial 911 if an emergency arises. 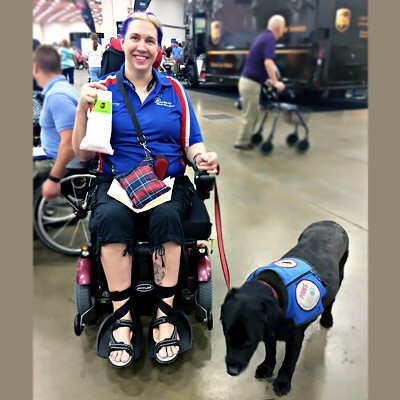 Therapy and service dogs establish strong relationships with people over time. Eventually the owners don't just see them as working objects. Even though the dogs are there to work they are still pets and provide the same affection as any other untrained dog and hope for the same love in return. So next time you see someone with a service or therapy dog, please keep in mind that these dogs are working to keep their owner safe as well as to assist them with daily living. Never pet the animal without first asking and do not be offended if the owner declines. You never know what the story is behind the dog and how important their job is. The BLVD is excited to team up with up and coming writers and bloggers to be featured on the BLVD Blog. One such up and comer is Kamea Kahler, who at just 13 years old, has accomplished more than people twice her age. She is a charismatic, courageous, and charming young lady who has dedicated her life to serving veterans. She has come from a long line of service men and women and her passion is contagious. She is going into 8th grade at Tri-City-United Middle School in Montgomery, MN. 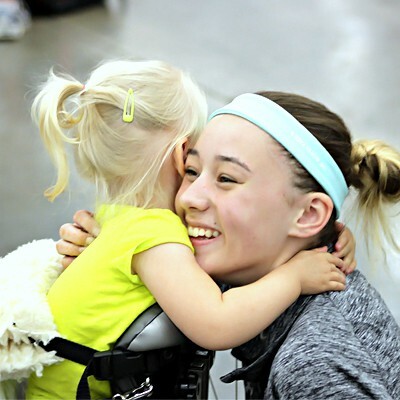 She is active in volleyball, track and field, and Girl Scouts. She has already accomplished her Bronze Award and is currently working on her Silver Award for the Girl Scouts.